Cornell College junior Muriel Grubb will spend the summer studying Turkish in Ankara, Turkey, as part of the highly competitive Critical Language Scholarship Program sponsored by the U.S. Department of State. Junior Muriel Grubb will spend the summer in Turkey studying the Turkish language. Grubb, an archaeology major, will spend two and a half months with a family in Turkey while studying Turkish and participating in cultural immersion activities designed to give her an understanding of the country’s politics, history, and culture. This will be her second time visiting the country; she went to Istanbul in 2013 as a student at the University of Minnesota. “I absolutely loved the country,” she said. Her decision to apply to the CLS program, which covers the entire cost for participants, including travel and living expenses, was driven by both her interest in Turkey and her passion for archaeology. Many archaeology students study French or German, but while taking a course at Cornell on the history and spread of Islam, she realized that the Ottoman Empire was in control of parts of Eastern Europe and Western Asia for centuries—far longer than recent colonial powers. “I thought I would learn a lot more by studying Turkish,” she said. For her application to the program, she consulted with a number of faculty and staff at Cornell, including Johanna Schuster-Craig, associate professor of German; Lynne Ikach, the CLS advisor on campus; and Laura Farmer, director of the writing studio. Schuster-Craig, who speaks Turkish in addition to German, laid out options for Grubb to study archaeology in Turkey, and the CLS program was part of that. Ikach helped guide her through the application project, and Farmer helped with the many writing assignments the application required. “Laura helped me so much with my statements,” Grubb said. One of the most challenging parts of the application process was how to make herself stand out, she said. She had two advantages. The first was the fact she has traveled extensively, not just abroad, but across the United States. Her parents are geologists, and they’ve taken her to 43 states. The other advantage is more recent—her time at Cornell. 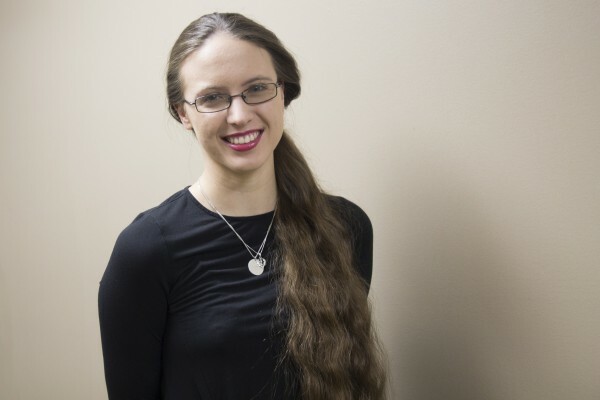 She’s been a part of the archaeology club, which led her to spend last summer on an archaeological dig in Israel; she spent Block 1 doing field work; and earlier this year she had an internship with the Office of the State Archaeologist in Iowa City, Iowa. But in addition to those experiences, the college’s One Course At A Time curriculum gave her a ready answer to one of the more challenging questions on the CLS application—how she would handle doing a year’s worth of language study in just two and a half months. “Because of One Course At A Time I already study subjects really intensely for a month at a time,” she said. She has some Cornell company in her passion for Turkey. Will Dinneen ’12 spent a year in the country with the Fulbright Program’s English Teaching Assistantship Program and took part in the CLS program in Turkey between his sophomore and junior years at Cornell. Last year Emily Wenger ’14 also took part in the Fulbright’s English teaching program in Turkey. The CLS program, sponsored by the U.S. Department of State’s Bureau of Educational and Cultural Affairs, is a fully-funded overseas language and cultural immersion program for American undergraduate and graduate students. With the goal of broadening the base of Americans studying and mastering critical languages and building relationships between the people of the United States and other countries, the program provides study opportunities to a diverse range of students from across the United States at every level of language learning. It is part of a U.S. government interagency effort to dramatically expand the number of Americans studying and mastering critical foreign languages.